This was a Starbucks/Teavana reward that my sister picked up at Teavana. Unfortunately, she had asked for a different silver needle tea and wasn’t aware that they had given her a different one until she had gotten home – disappointing, to say the least. 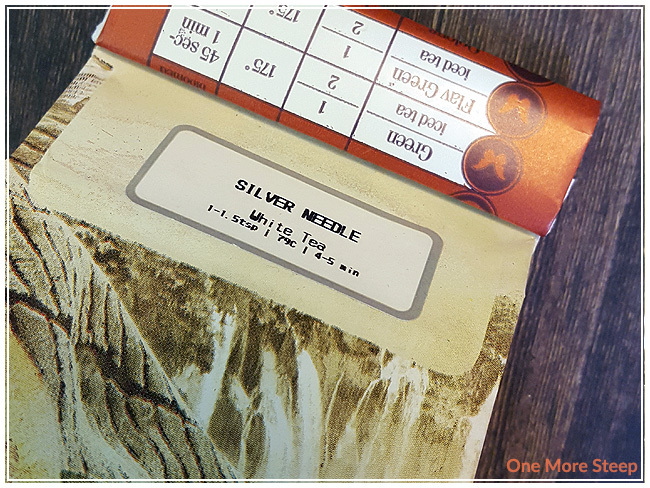 Silver Needle is a straight white tea, it has a very light floral scent to it that is quite subtle. 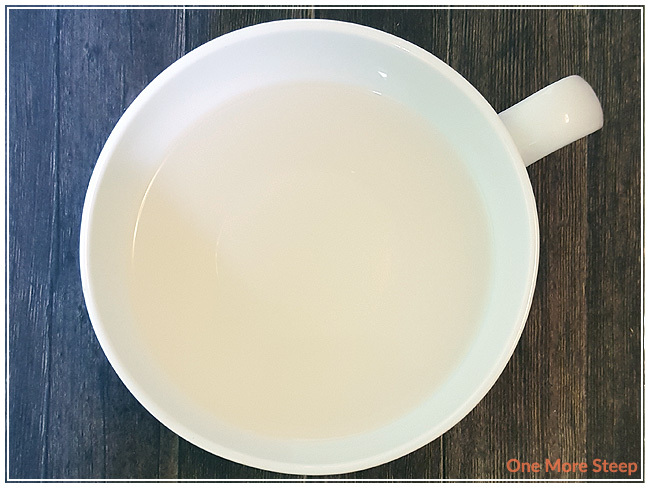 It has some grassy qualities in the dry leaf – you can definitely tell by looking at the tea leaves why the tea is referred to as ‘silver needle’. 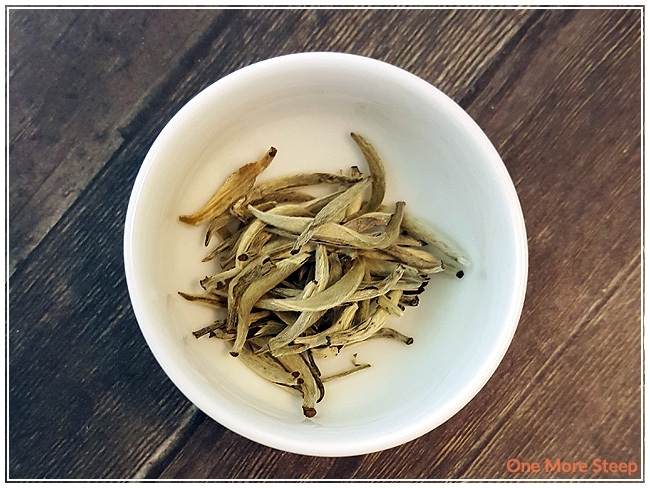 The pale silver-white down on the tea leaves is soft to the touch, and the leaves are a decent size. Teavana recommends steeping Silver Needle in 175°F (79°C) water for 4-5 minutes. Silver Needle is an amazingly pale tea, it steeps with a light yellow colour after about 4 minutes of steeping time. The aroma is much like the dry tea – grassy, a little bit of floral notes. The taste is very subtle, but it tastes just like it smells. The mark of a true straight tea, it’s quite nice to have a tea that tastes the way it smells. There’s a lightness to this tea that is enjoyable. While the taste doesn’t bowl you over, it’s still quite good and it’s one of those teas better suited for a mellow or lazy day. I resteeped Silver Needle several times. The Teavana website states that it can be steeped for 3 to 5 times. I steeped it for a total of 5 times – adding an extra 30 seconds for each steep. It still has this amazing lightness that I enjoy, the flavour remains subtle but present the entire time. The colour of the tea gets a little bit darker with each subsequent steep – it turns into a golden yellow. I loved Teavana’s Silver Needle. The tea itself was good – the smell of the dry leaf matches the steeped tea, the taste doesn’t disappoint. There’s a lightness to the tea that is enjoyable, and steeping to the recommended time results in a tasty cup of tea. It really is the type of tea that you need to be able to sit down and enjoy, not rush through. I am disappointed with Teavana’s customer service, given that my sister had asked for a different silver needle tea to use her Starbucks/Teavana reward on and was given this one instead.